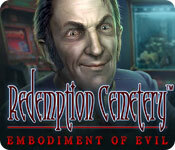 Redemption Cemetery: Embodiment of Evil is rated 4.4 out of 5 by 10. Rated 5 out of 5 by denniann2 from a great game in the series a great HO. you are trying to free souls that have been captured. you have three pillars that have to be destroyed. it is a long game. i played on the custom level. good hint system. of course there will be another one. after all it is a series. Rated 5 out of 5 by Dargonnoone from Great game I bought this game because it was on special and I had thoroughly enjoyed the demo but expected the game to tale off somewhat but quite the contrary. It kept me playing long into the night until I had to go to bed before I fell asleep, but next morning I had to start playing to finish the game. Sometimes when I am playing games I kind of forget the story line but not this one. The pace of the game was just right for me and the puzzles were great. I'm quite picky about games and try quite a few before I buy and when I do it's quite often that I wish that I hadn't but not this one. Right to the last minute I enjoyed it and I will replay it again at some time in the future. Rated 5 out of 5 by BooksandGameFan from Absolutely stellar game! 5 Stars! I absolutely loved this game! Best Redemption Cemetary since Redemption Cemetery: Children's Plight which up to now was my favorite, this game surpasses that one. Wonderful graphics, great music, plenty of interactive HOG's and plenty of mini games/puzzles which I mostly skip because some did get a little tedious by the third time. I'm not a puzzle lover. What I really liked about the game is the unfolding stories, you always knew what you were doing and why. I loved having people in the game you talked to and interacted with as well. I love ERS games the sounds things make are so enjoyable to me, they don't do to much back and forth and everything moves forward in a wonderfully logical way! You save 3 people so you go to 3 different places plus the cemetery and crypt. You will visit an amusement park where you get to play arcade games (loved it, just wish the games were made a bit more challenging) then you go back in time and save a doctor and his daughter from some kind of illness, so lots of mixing this and that ( I love mixing up potions and such) lastly you go to where the whole thing began and stop it from happening. I really really enjoyed this game and it does as someone else pointed out get much better after the demo! Well worth a full price but if you have a free game coupon and are on the fence I say use it and buy this exceptionally fun game! Rated 5 out of 5 by mharrigan from Creepy Amusement Park Chapter!!! Loved this game; especially loved the Creepy Amusement Park chapter. So much fun seeing the creepy clowns, arcade games, and amusement park rides. Finally a company is making games that have a more modern feel, instead of the same old Castles and Enchanted Forest themes. Rated 5 out of 5 by bjdjtjbjd from What a difference after the demo! I beta tested this game and played the demo on both the CE and this one. I took a chance and got it with a free game coupon. I'm glad I did! I have hundreds of games and I can tell you this, any game can turn out to be great or a let down after the demo. This game turned out to be great. Not too much back and forth and the storyline kept my interest. I'm NOT going into details about the game because others have done so already. I almost did NOT get this game because of the demo. I thought it was going to be about a crazy nut job throughout the game and all that back and forth..Not so, after the demo! In fact it is about saving three different souls, hence, three different story lines, the last one was a surprise. I'm NOT going to go into detail and ruin it for all of you. Very good game and I do recommend it. Rated 4 out of 5 by pennmom36 from THIS EVIL IS SO EVIL YOU'RE GOING TO WISH IT WASN'T SO EVIL I always wait for a "buy one, get one" Collector's Edition sale from Big Fish, and I usually buy all of the new CE games offered. Usually, because I only buy the games that I deem to be a 4 or 5 star rated game. If I gave the new release a 3 star rating, and I need a second game for the BOGO sale, I consider whether or not other games in the series were good. Sometimes a game gets much more interesting after the demo, because the plot just needed more time to develop than the demo portion allowed for. Sometimes games that seemed really good in the demo, take a fast nosedive because the demo plot played all its cards and there was nothing left to build upon, and you could care less about finishing the game, much less the bonus chapter. My point here, is that you can't really judge a game by its demo, and this game was a solid game throughout, but it did have a few dull moments and a lot of back and forthing, and of course it had too many HOP scenes that were repeated in the same scene. Generally, I prefer the Collector's Edition of most games, here's what you can expect in both versions: This Redemption Cemetery is a cemetery so full of evil, that not even the living dare to enter! No one leaves, not the living and certainly not the dead, you'd be wise to heed the cemetery's grave warning: Only once, only in light. (good enough for me I'm outta here!) The locals built a church within the cemetery, and summoned Kirkogrimm, the Keeper of light so lost souls could acquire the light, and find their way to eternity. But even he was cursed by evil, feeding upon their pain and removing all hope for peace in the afterlife, he is now the Embodiment of Evil itself. Legends say that only a mortal with a pure soul can find the Light of Souls, and release the suffering. That pure soul, is yours, it has to be, or you will remain in darkness like all those who have come before you, because Kirkogrimm doesn't allow anyone out alive! The only way to destroy him is to release the restless souls contained within the three pillars of the cursed, before the break of dawn. To break the curse, you must find a crystal for each soul, and activate them with ancient runes on the church's altar. You must break the chains of the each soul not yet dead, and enter a portal into the worst day of that person's life, and right the wrongs to give them redemption and save their souls from the Embodiment of Evil! Finally! A decent Redemption Cemetery! Usually, this series offers mundane collections, but in the Collector's Edition version, the Collectible Cards are kind of interesting. There are 14 different cards, and each one requires you to collect 3 Grave Tokens to refute various urban legends. Some of the legends are really interesting, especially once you get to read the reason the legend started in the first place. I also love the newer feature RC has added lately that give you statistics after each Hidden Object Scene, with your accuracy percentage, the number of selections you made, the time it took to complete, and the hints used if any. You then receive Bronze, Silver and Gold Tombstone awards according to your statistics. You can disable this full screen pop up, as well as the 30 Achievement popups, if you don't like this feature. These features are well worth the CE price, so if you're like me, and love interesting collectibles, consider the CE version, if not, this version is perfectly fine without them. 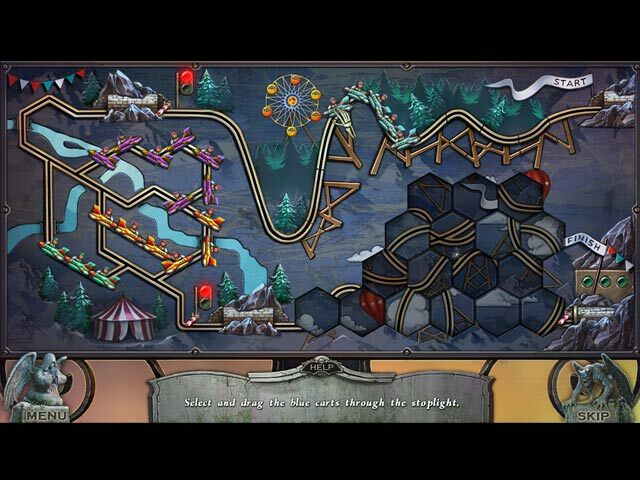 The Hidden Object Scenes have one feature I hate, they repeat the scenes a second time, not just some of them, all of them! Other than that, they aren't bad, and they are varied each time with Keywords in sentences, Interactive Silhouetted Shapes finds, Multiple finds and good old fashioned Text Listed item finds. If you want to achieve 100% accuracy, you cannot click on interactive objects for a black bar tip, however because it counts as a miss-click. The Mini Games range from fairly simple, to medium difficulty, but so far nothing to difficult or frustrating. Below are brief descriptions of some of the games you'll encounter during the demo: 1) Enter the code by connecting the dots to match the clue shown. 2) Open all lock pieces by dragging the skulls left or right, dragging one skull may affect others. 3) To ask a question, recreate the image by dragging horizontal lines the first time, vertical lines the second time and horizontal and vertical lines the third time. 4) Select and drag the correct rune sections to completely fill the center symbol shown. 5) Select and drag lines across dots in one complete line to recreate the symbol shown. 6) Select matching symbols by clicking on two clouds at a time to reveal hidden symbols. 7) Correctly place stained glass pieces in three different puzzles. 8) Follow the directions to play an arcade game. (I was jotting down the puzzle info in my notes and the game finished all by itself correctly even though I hadn't yet started the game!) 9) Put your hockey team into the correct starting position and click the start button to try out your formation. 10) Throw basketballs into a tiny moving net until you score the required points. 11) Select and place the missing road pieces correctly. REDEMPTION CEMETERY GAMES AVAILABLE: At Death's Door (CE 5-16) Bitter Frost (CE 12-13) Children's Plight (CE11-11) Clock of Fate (CE 9-15) Curse of the Raven (CE 11-11) Embodiment of Evil (CE 5-11-17) Grave Testimony (CE 8-12) Night Terror's (CE 2-17) Salvation of the Lost (CE 4-13) The Island of the Lost (CE 3-15) The Collector's Edition has: 42 Collectible Skull Tokens to Refute 14 different Urban Legend Cards,(3 Collectible Skull Coins required per card), 30 Achievements, (you can disable the screen animations) 7 replayable Mini Games, 21 replayable Hidden Object Scenes, 9 Concept Art pictures, 16 Wallpapers, 7 Screensavers, 4 Music Soundtracks, 10 Movies, a built in Strategy Guide and a Bonus Chapter, enjoy! Rated 3 out of 5 by Pilot1 from An okay game, but it could have been better. If you need a play-by-play description, check the CE demo's reviews. I have several of the previous games in this series, so I should have expected the old-school style graphics. Even so, and given the high quality CG graphics of other game developers —Eipix comes readily to mind— I was not overly pleased with the visual aspect of this game. 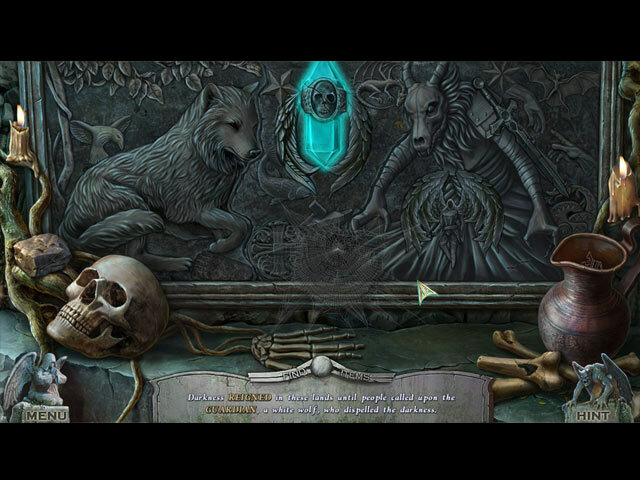 The music and background sounds are in keeping with the overall, continuing theme of this game series. They are somewhat slow of pace and tempo, and a touch macabre. The voice-overs were likewise slow of pace but, while the text was informative, the actors did not make much effort to add dramatic tension to the words they speak. The story is pretty much the same as the previous games in the series —and in other games of similar type by other developers. An evil spirit must be defeated, and you are the only one who can accomplish the deed. The HO sequences are the usual offerings. In some you have to just find items; in others, you must find objects referred to in the text so as to find other items needed to complete the sequence. I was quite disappointed with this addition to the Redemption Cemetery series but, if you like old-school, not too challenging games this one may be for you. My recommendation to buy comes with my usual caveat; play the demo and decide for yourself. Rated 2 out of 5 by bessiegirl from What an annoying game Awkward, slow moving game. I couldn't even get past the demo. I have several in this series and I almost bought this without demoing it...whew, glad I did. Way to much annoying dialog, then a HOS, then a puzzle. Good grief, where's the story? Boring, awkward overly dramatic game. No buy for me.